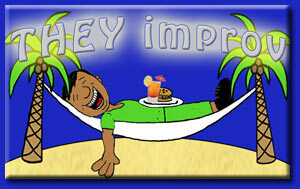 THEY improv is a leader in training and bonding for multi-national companies and provides improv comedy, game shows and murder mystery dinners for entertainment options for a variety of groups and gatherings for their corporate meetings and incentives event, private parties, team building workshops and banquets throughout much of the Arabian Peninsula. Due to the current unrest in Yemen, we are not currently serving for events in the country. We hope that you will check back soon and keep the people of Yemen in your prayers as they try to live through the hardship that such a conflict presents. 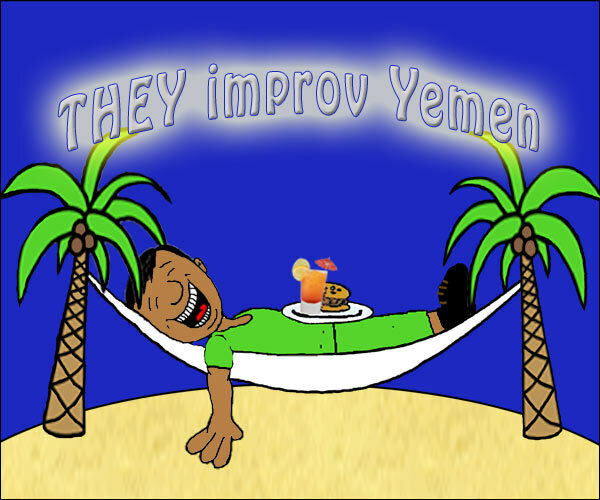 We appreciate your interest in working with THEY improv for quality corporate event, banquet and private party entertainment in Yemen. Unfortunately, Yemen is currently involved in major turmoil and this includes military conflict. There are many in the country that are seeking to do harm to America and its interests. Due to this we have currently suspended operations in Yemen. We pray for the Yemeni people and hope that the conflicts get resolved soon. It is our most fervent desire that the country return to be the lovely and peaceful place that we know it to be. At that time we hope that we can help American businesses to return and continue helping the welfare of the Yemeni people. The area is known for its amazing coral reefs for scuba diving. This provides a magnificent backdrop for outdoor activities and for those who love green events. Unfortunately, current political conditions preclude such possibilities. The safety of our people is paramount and thus we are not currently operating in Yemen.